The historic island of Patmos is the northernmost island of the Dodecanese. The island's historic centre (Chora), the Monastery of St. John the Theologian and the Cave of the Apocalypse are all World Heritage sites. It is thought St. John received the visions that form the Book of Revelations in the Cave of the Apocalypse. 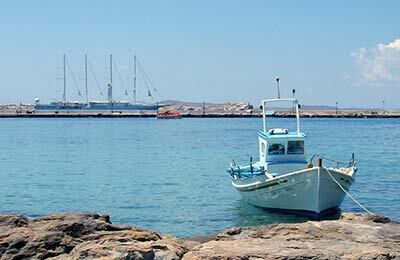 You can compare and find the cheapest ferry crossings available from Patmos with our easy to use booking form. The ferry company that operates out of Patmos is Blue Star Ferries and below you can find all the Patmos ferry timetables, journey times as well as our latest and best prices. Blue Star Ferries is one of the largest ferry companies serving Greece. From Patmos, Blue Star Ferries go to the Greek islands of Kos, Leros, Rhodes and Syros. They also go to the port of Piraeus which serves Athens. Blue Star Ferries' modern air-conditioned ships offer a full range of on board facilities. Facilities include internet access, a wide range of seating options and cabins, full service restaurants and shops. Many Blue Star Ferries now also feature Goody's fast food restaurants providing quick meals and snacks that are perfect for kids and adults alike. The island of Patmos is located in the Dodecanese range of islands and has been famous throughout history - though some of the time it has been famous as a place of exile and prison. Today, Patmos is a great place to visit and ferries go from Patmos to other islands in the Dodecanese region as well as to Pireaus on mainland Greece. Ferries to and from Patmos can be booked online with AFerry. The facilities at Patmos port are basic, but the town of Skala is not far away and offers a more comprehensive range of facilities. 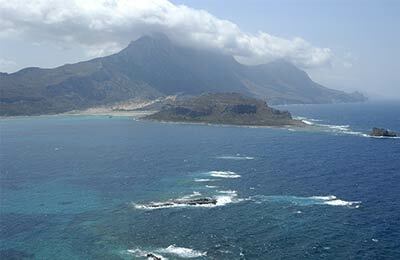 The port is located in the town of Skala and is clearly signposted across the island. Regular buses and taxis connect this port with the rest of the island.